Originally published in 1967, this volume provides an account of the early development of English education. The schools and universities of the mediaeval period arose to meet the social needs of that time. 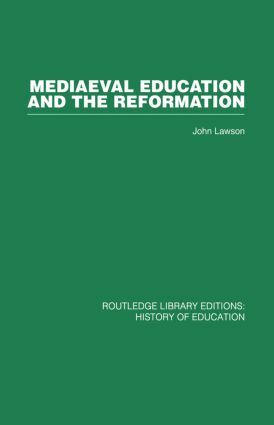 The book charts developments up to the sixteenth century when the Reformation brought profound social and religious changes which affected education: not only the organisation of schools and universities but also the curriculum. This was the turning point when the foundations of an educational system, in the modern sense of the term, were laid.